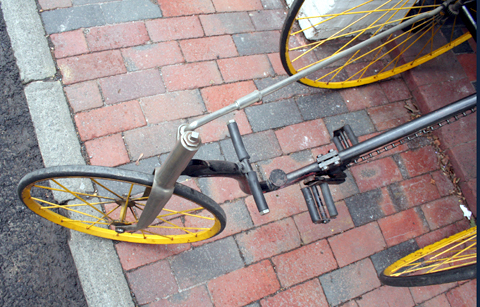 I owned this machine in 2008. 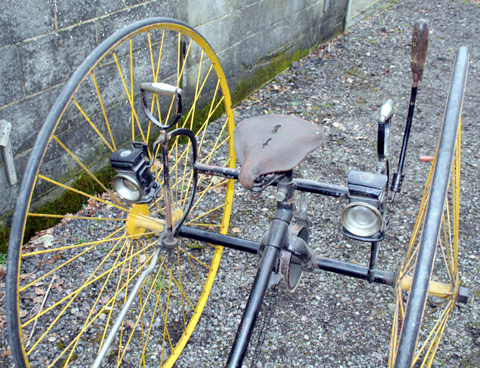 Being some of the first vehicles fitted with a differential gear, high wheeler tricycles such as this were the forerunner of the automobile. 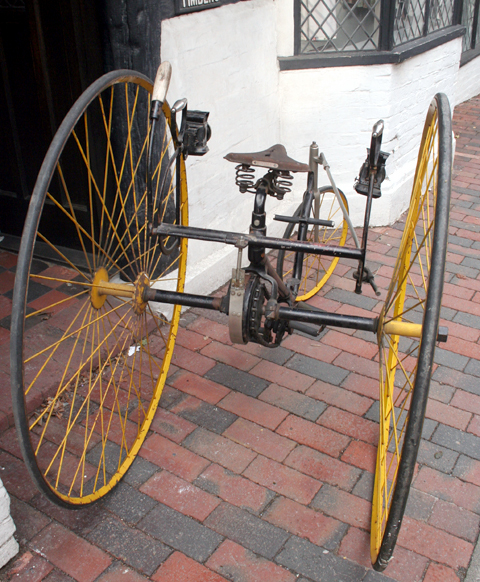 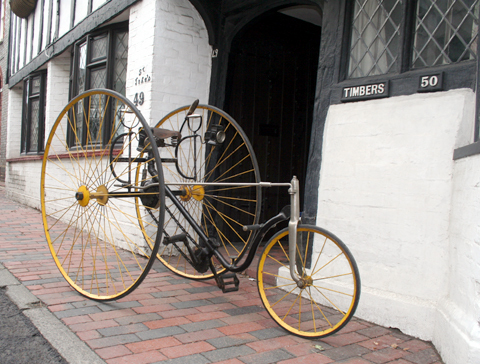 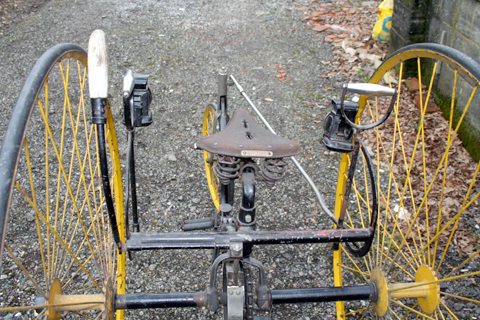 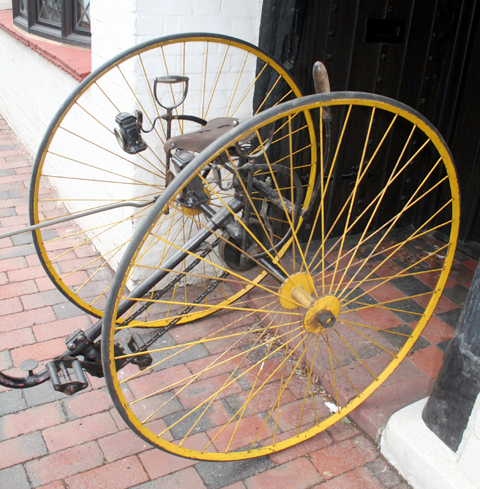 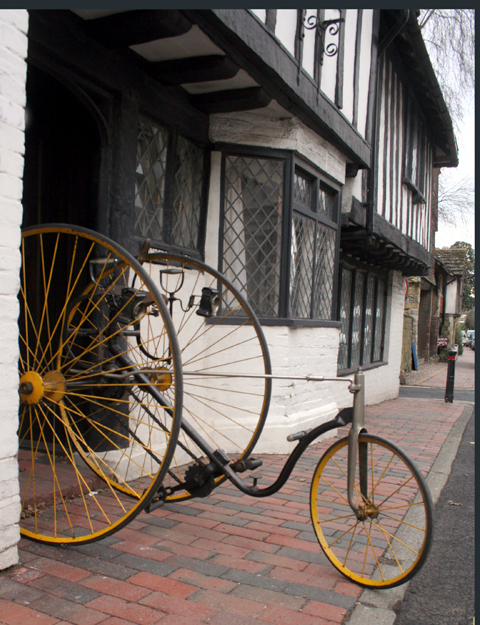 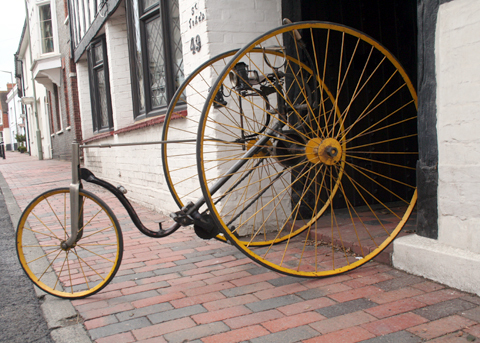 This 19th century tricycle is fully functional. 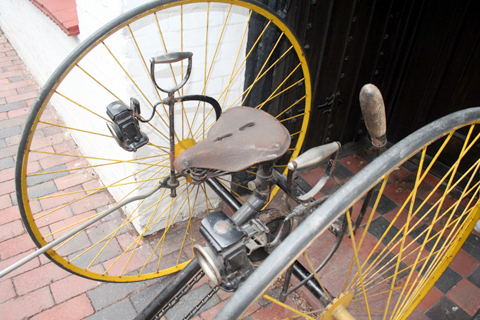 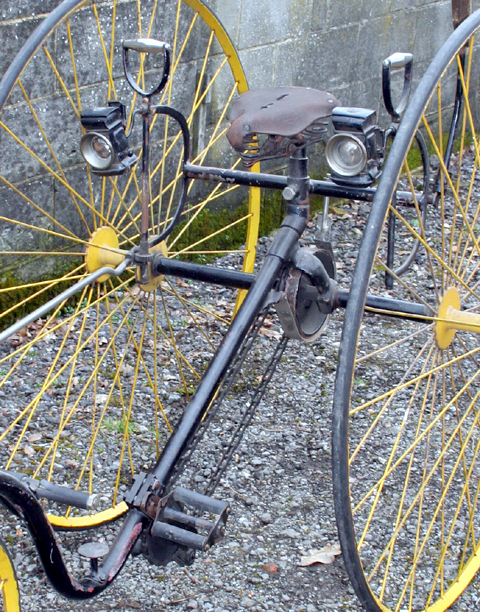 The chain drives of these tricycles inspired inventors to innovate further. 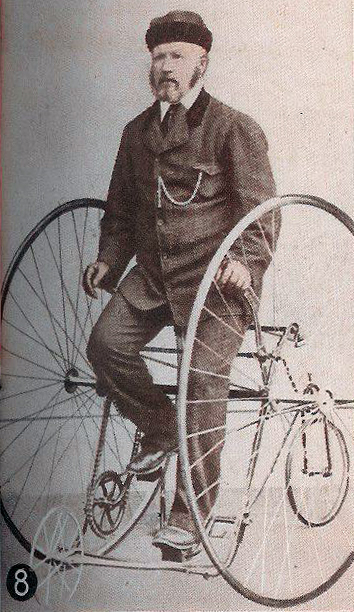 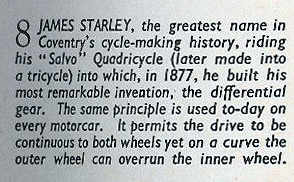 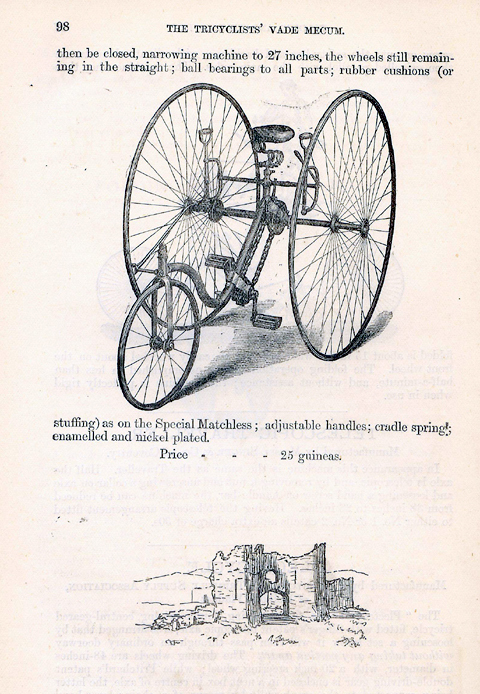 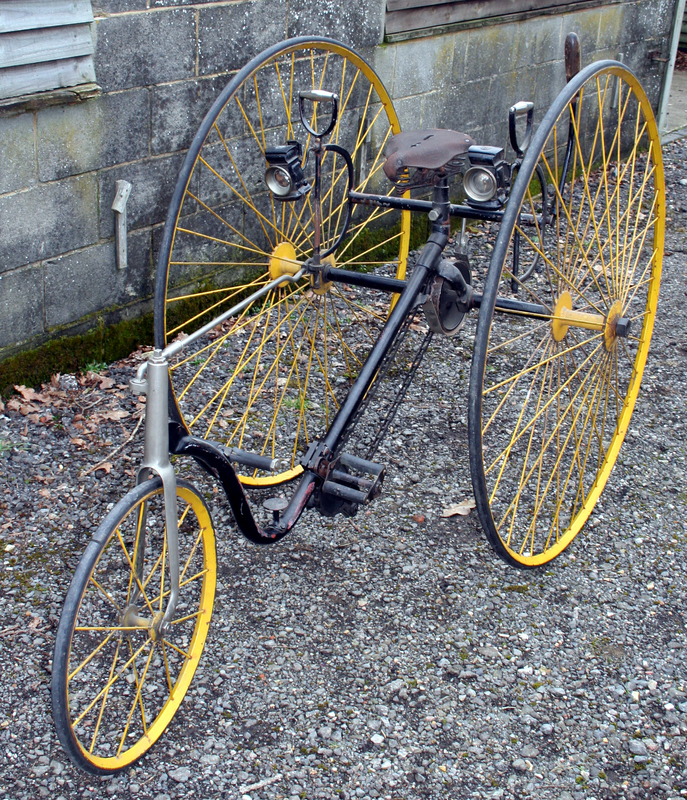 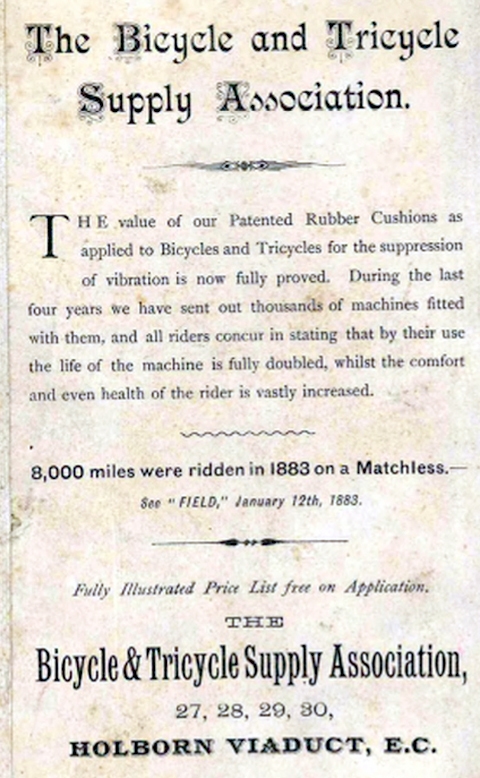 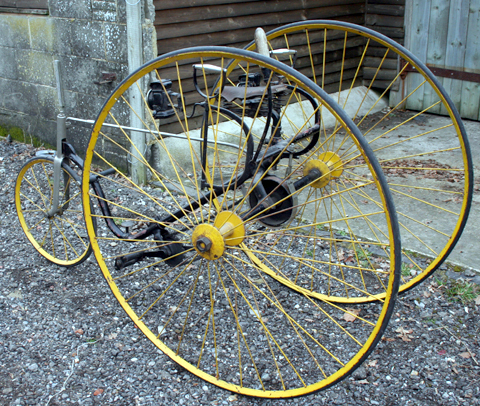 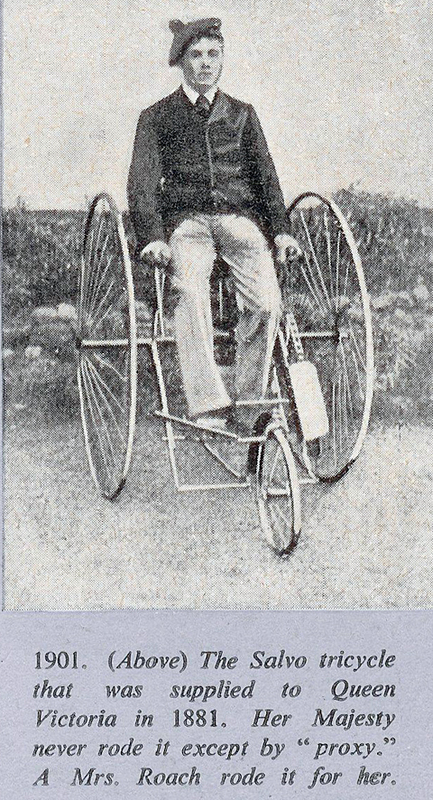 Development of chain-driven ‘safety’ bicycles led to the display of the Rover Safety at the 1885 Stanley Show, and bicycles suddenly changed – that design remains more or less the same today. 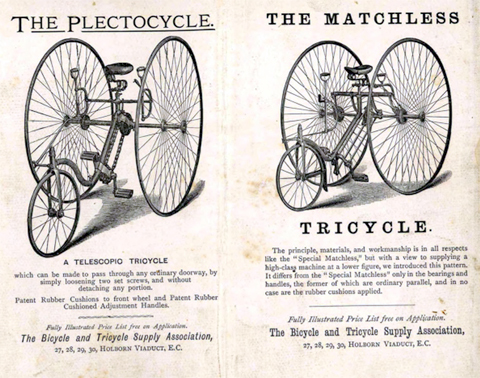 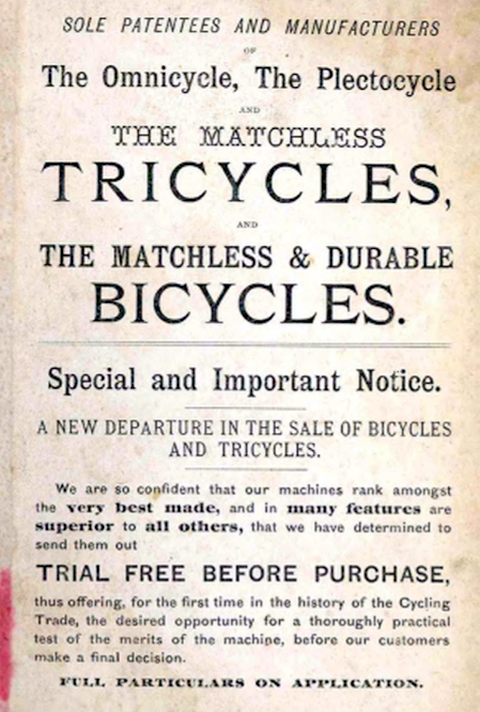 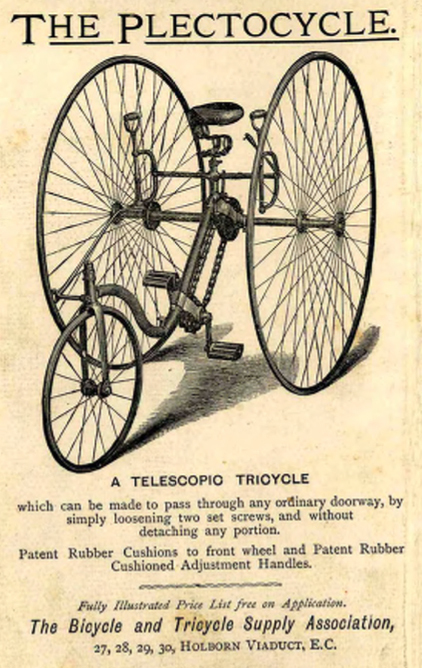 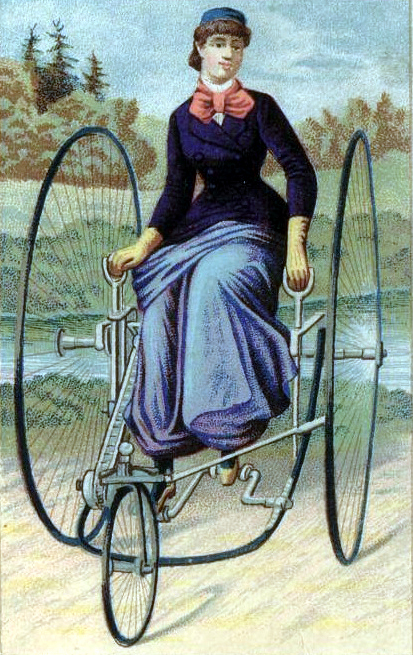 High wheel bicycles and tricycles soon became obsolete, and enormous demand ensued for the revolutionary new, cheaper, safer, faster, and much more ridable bicycles.